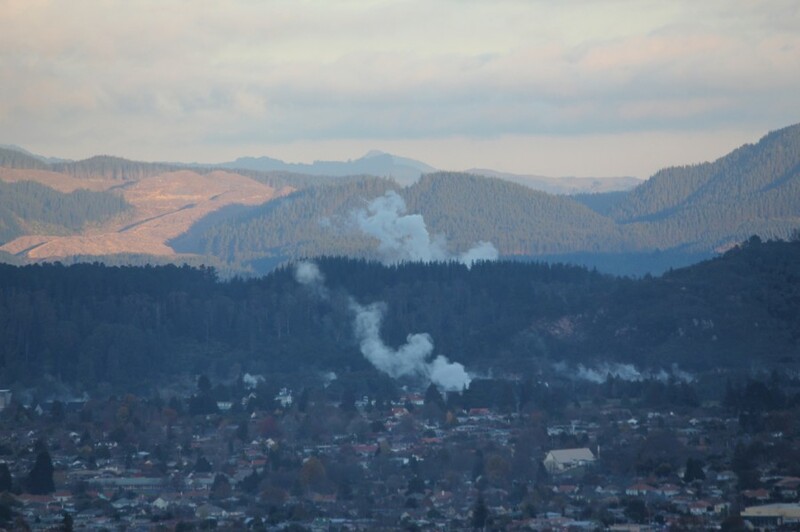 After my Huka Falls River Cruise, it was time to head north to Rotorua, one of New Zealand’s top tourist destinations. 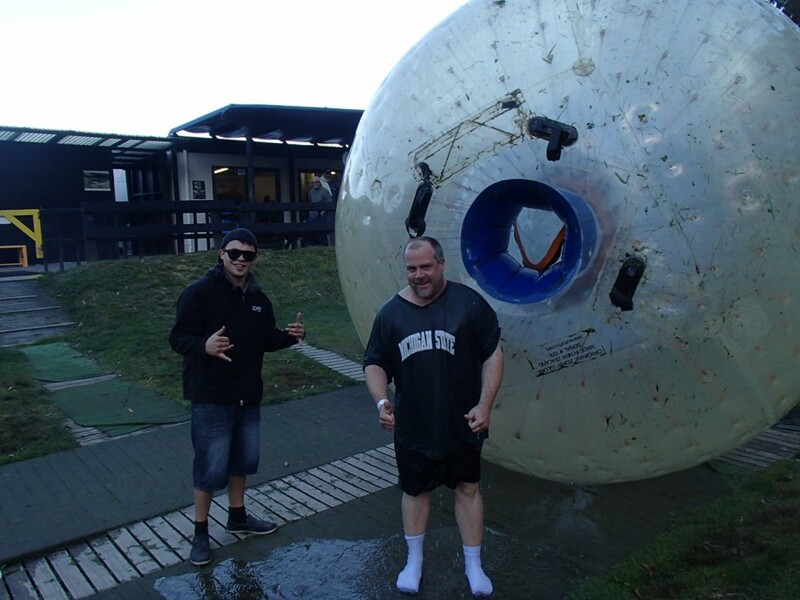 I was hurrying to Rotorua because I wanted to make it there before the hour got too late so that I could engage in the one semi-adventurous activity I had planned to do in New Zealand- Zorbing. 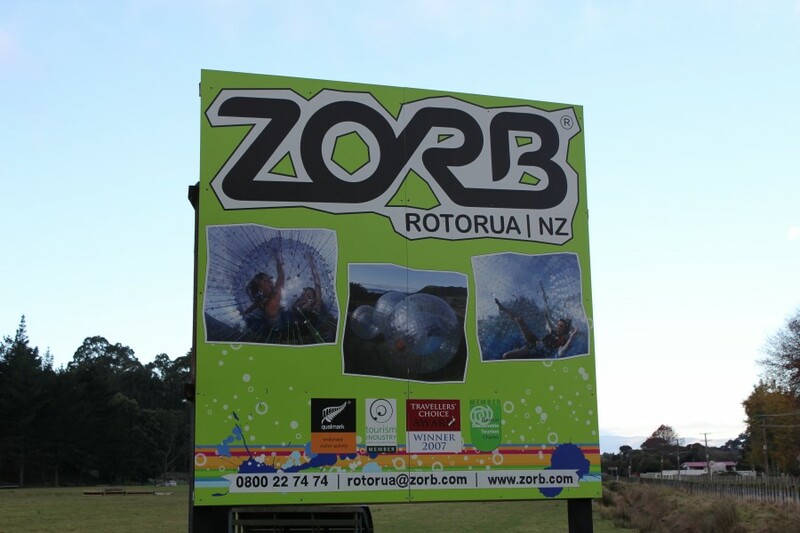 Zorbing is an activity that you would expect to be invented by the Kiwis. What it basically entails is being rolled down a hillside in a giant plastic ball. I chose to do wet zorbing, where they put some water into the ball with me and I slosshed around all the way down the hill. I won’t spend a tremenous amount of time going into the experience here, other than to say it was really fun, and I am glad I did it. 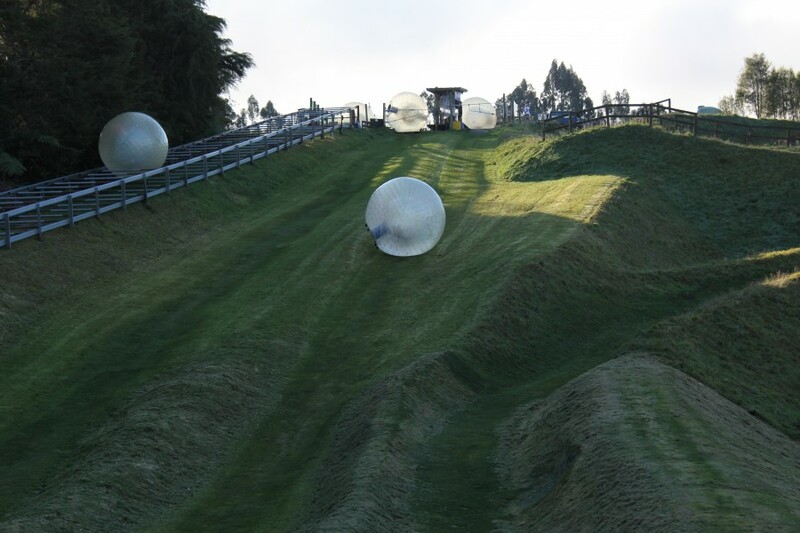 I wrote this post about Zorbing for my friend Chris’ blog The Amateur Traveler shortly after returning home. 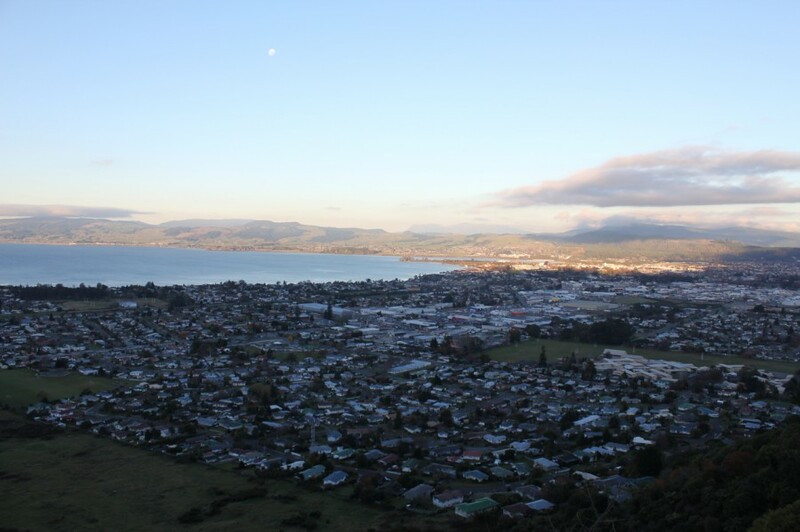 The second excursion in Rotorua I was really excited about was Skyline Rotorua. 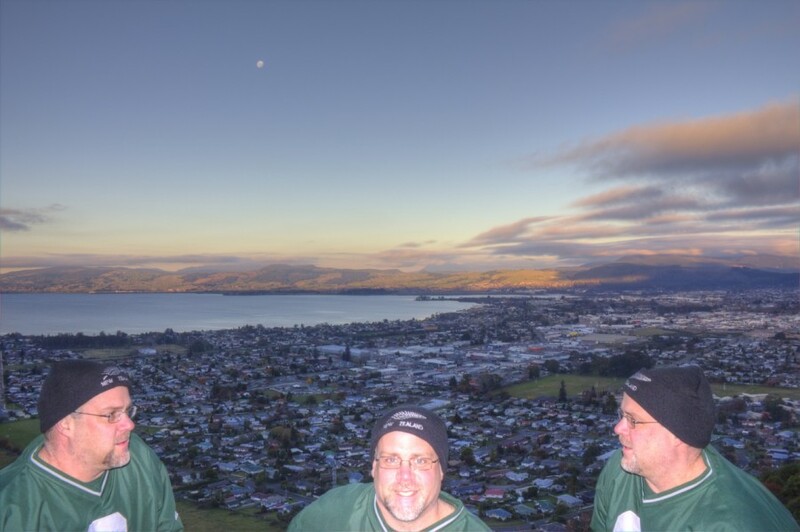 I’d had such an awesome experience at Skyline Queenstown a few weeks earlier, I couldn’t wait to get to Rotorua to try it again. The best part of both the skyline experiences were the views. Skyline Queenstown, being right across from The Remarkables and in a more dramatic setting had better views, but Skyline Rotorua’s views were nothing to be taken lightly. The sun had begun to set behind the mountains as I took the gondola up, and the low light made for some gorgeous views over the city and the lake. 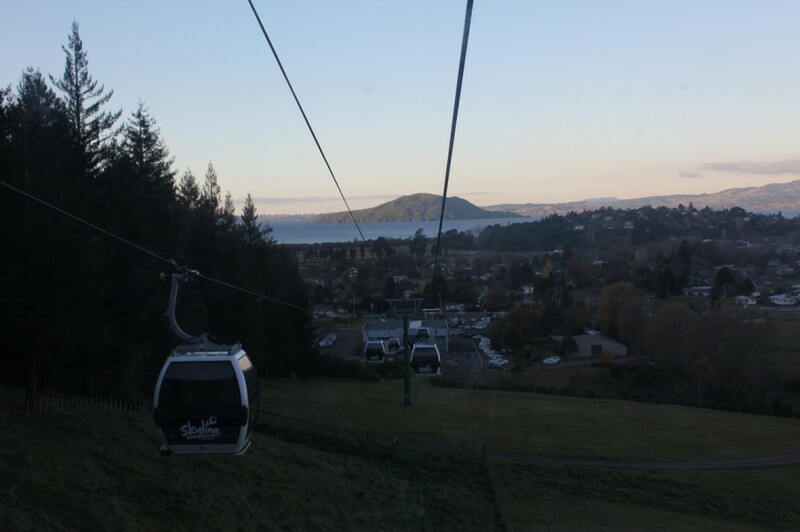 Besides great views, Skyline Rotorua also offered a couple of ‘adventure’ activities. Skyline Queenstown had also offered these, but I had participated in any there. I took the opportunity this time to do the Luge, where I rode a small plastic sled on a concrete path down the side of the mountain. One of the main reasons for doing this is I had some time to kill before the buffet dinner was served, and the late hour of the day meant they were offering some discounted runs. 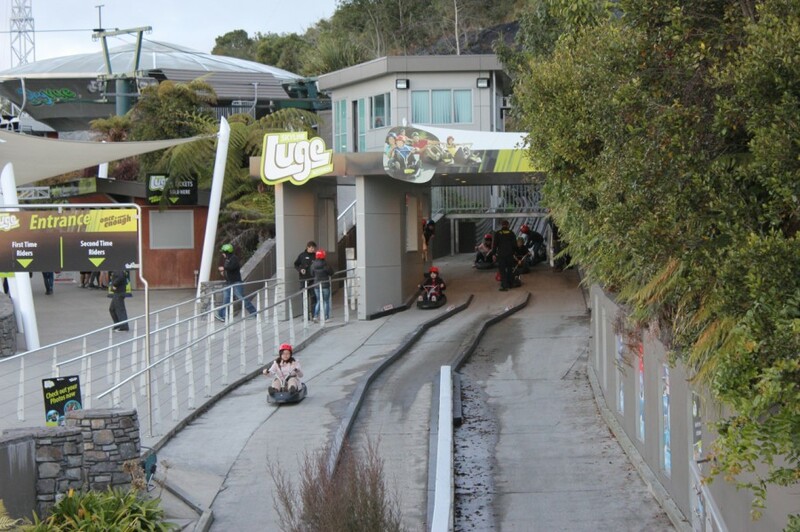 In the end, I really ended up enjoying the luge, taking four separate runs down the hillside. I’d put my camera in a locker, since there really was no good place for it on the sled, but I wish I had tried to record what the luge was like. 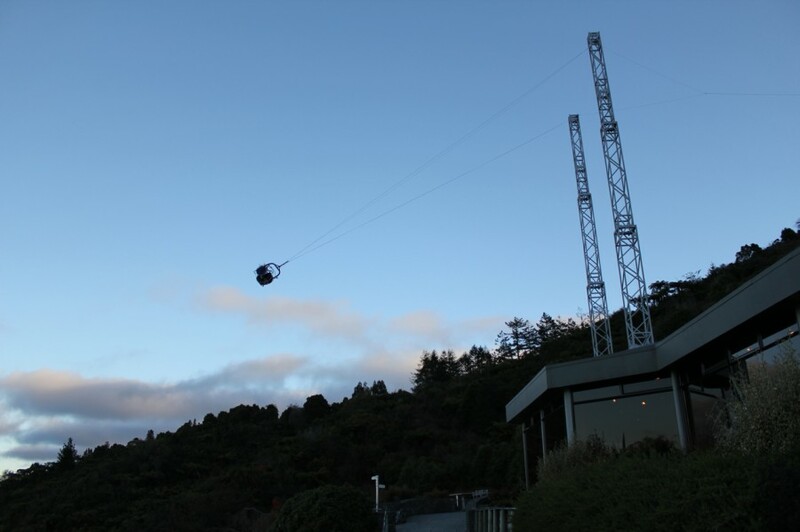 The other popular activity at Skyline Rotorua is the Sky Swing, where participants are strapped in their seats in a little pods and then are swung around, using a slingshot motion, at speeds up to 120km per hour. The people doing it gave out loud screams of delight (and more than one profanity), but this is not something I ever considered doing. I’d brought my tripod up with me, and it gave me another chance to get one of those goofy pictures with 3 of myself in them, just as I had done right outside of Queenstown and on Mount Victoria in Wellington. The real reason for bringing the tripod, however, was so that I could capture some excellent HDR images of the city of Rotorua and beyond. I knew the fading daylight would have made it impossible to capture good HDR images just holding the camera by hand. 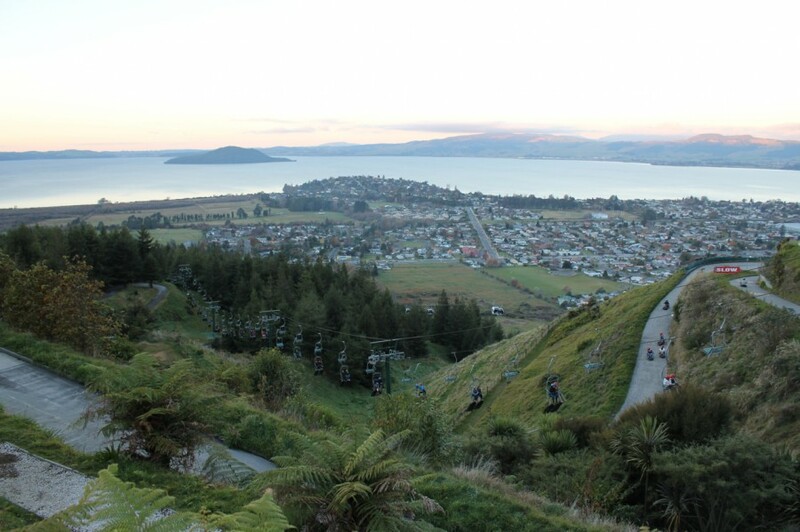 As much as I enjoyed the views and the luge, what I’d really looked forward to at Skyline Rotorua was the buffet dinner. 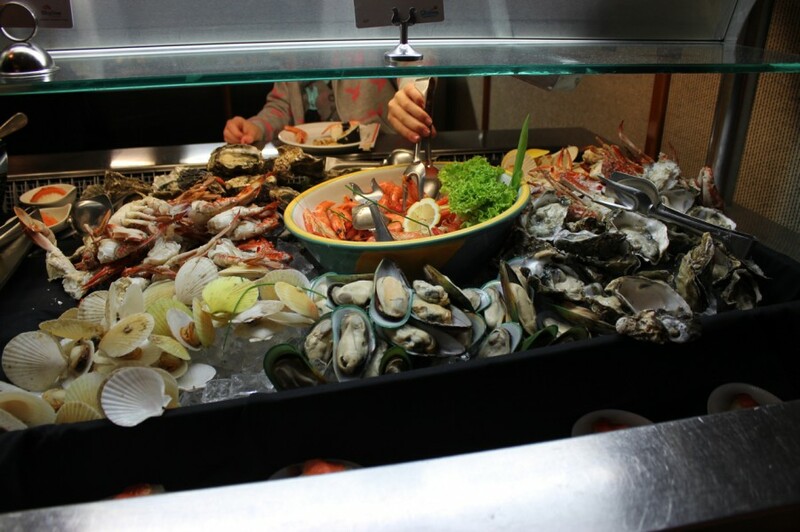 I’d been so pleased with the buffet in Queenstown, that, despite the expense, I was eager to gorge myself again, trying a little bit of all the different options offered. While nowhere near as awesome as the Queenstown offering, I was still happy with Skyline Rotorua’s meal. I especially like the ability to try a bunch of different kinds of seafood, even though I didn’t end up liking everything I tried (oysters, yuck!). 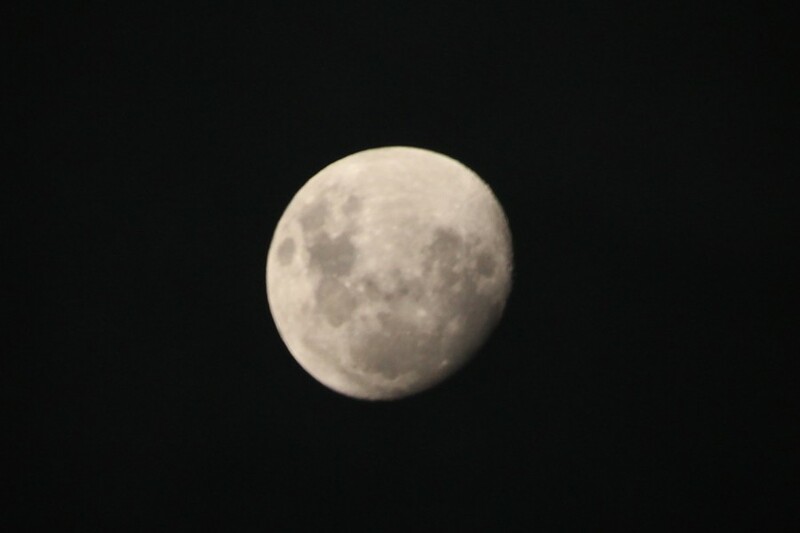 Comprehensively full, I headed back out to get some great shots of the city of Rotorua at night and the almost full moon that hung in the sky above me. It had been another full day of activities and I struggled to keep my eyes open on the gondola ride down the mountainside. 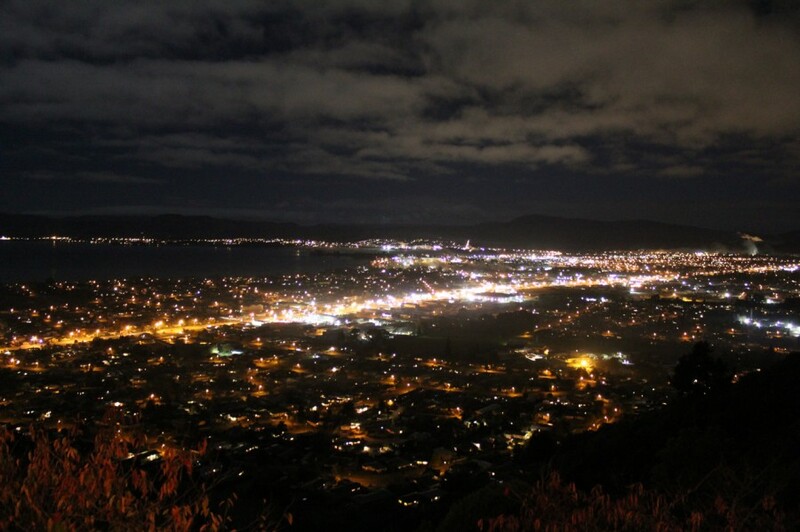 I was looking forward to a full day of exploring Rotorua the next day, before leaving late in the evening. The next day didn’t however go this way, but did turn into my favorite day of the trip…. I love your enthusiasm for all of it! Kudos and can’t wait to see/read what you do next. The recaps for this trip are winding down, but lots of good stuff to come, Maria. Thanks for coming along! It sounds funtastic! I would certainly like to do the ball ride and sky swing. Yes, I’d be very scared and most likely I wouldn’t scream out of joy, but I would still scream like a child. The more I read about your experiences in NZ, the more I want to go, NOW. What an awesome trip! I’m so jealous! Personally I’m not so into outdoorsy activities bu I’ll definitely have to make it that way some day. My trip to New Zealand was my best trip ever. You don’t have to be into outdoor activities to love that country. It really isn’t as adventurous as it sounds, just a whole lot of fun!